Space is pretty cool, and a lot of it is pretty weird. Planets orbit around stars, which die and are reborn, and everything in the galaxy orbits supermassive black holes that slowly pull everything to their doom. But every now and again, space throws a curveball our way so bizarre that you’ll twist your mind into a pretzel trying to figure it out. Things in space are fairly rounded, for the most part. Planets, stars, galaxies, and the shape of orbits are all at least somewhat circular. 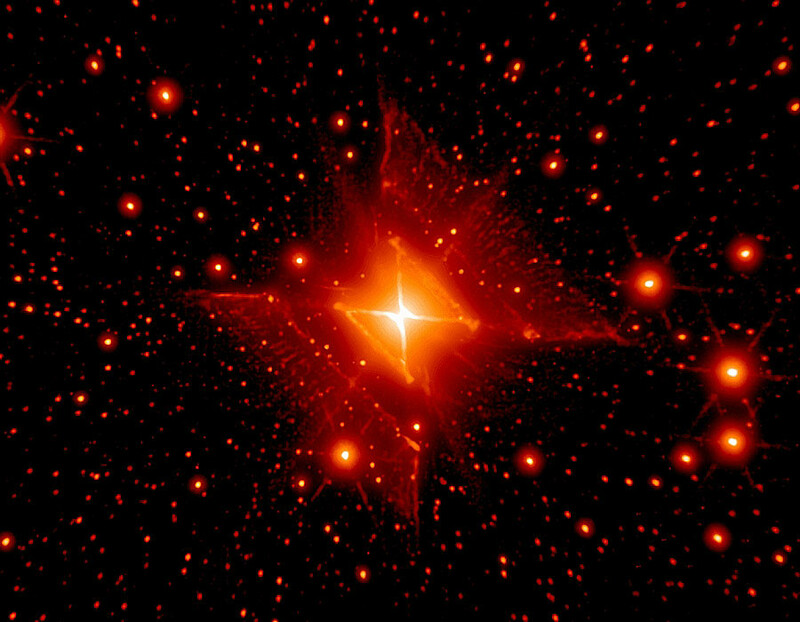 Then there’s the Red Square Nebula, a cloud of gas shaped like, well, a square. 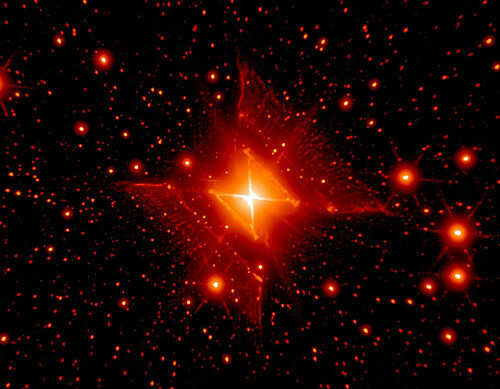 Understandably, this made astronomers do a bit of a double take, because things in space aren’t supposed to be square. But it’s not really a square, either. If you look closely at the image, you can see that the cross shape really forms the sides of two cones with their tips touching, but there aren’t exactly tons of cones in the night sky, either. The hourglass-shaped nebula is so brightly lit because there’s a star at the very center—that is, where the tips are touching. It’s quite possible that this star could eventually detonate into a supernova, making the rings at the base of the cones glow with blinding intensity. Is it not possible that space around it is distorted in a cubic like shape and light is just following such a geometry ?